Here is an excerpt “Market Report” from Advisor Cheat Sheet. Stocks hit new highs to start 2017 as strong economic data and declines in the dollar and Treasury yields helped lift the S&P 500 despite an underwhelming jobs report and Chinese currency volatility. The S&P 500 rose 1.70% for the week. Stocks started on the right foot as strong data helped support the rally early last week, with the S&P adding more than 1% Tuesday and Wednesday thanks to a combination of fresh money being put to work and universally strong economic data Wednesday. On Thursday markets digested those gains thanks to soft earnings from retailers KKS and M, and following a midday oil decline courtesy of the weekly inventory data. A drop in the dollar and bond yields helped limit the losses on Thursday and the market traded basically flat. 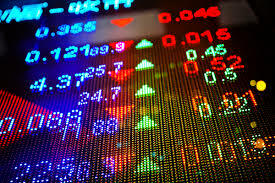 Friday stocks wavered between gains and losses initially as the soft headline jobs number combined with strong wage data led to a dollar and Treasury yield rally that proved to be a mild headwind on stocks. But, stocks turned positive and drifted higher throughout the morning and afternoon to finish with solid gains (and the S&P 500 hit a fractional new all time high). There was no clear rotation or theme to last week’s sector trade, because while sectors that outperformed in Q4 did rally last week, many of the outperformers were sectors that lagged for much of the final quarter. There was no definitive “out of safety/into cyclicals” rotation. The Nasdaq was a standout from an index standpoint, as it rose 2.5% while the Russell 2000 lagged, up just 0.70% (the R2K was a big outperformer in 2016). From a sector standpoint, internet names (FDN) had a great week as money rotated into names like AMZN/FB/NFLX, while healthcare also rallied thanks to biotech. We continue to like both sectors longer term, and think there is relative value in both here. From a news standpoint, the notables were retail earnings, as KKS and M missed badly while GPS beat. But, as stated, those results are viewed as more indicative of retail company problems while consumer spending remains strong (it’ll take disappointing guidance from MC, V or AXP to spook markets regarding the consumer). The post-election rally resumed to start 2017 thanks to 1) Better-than-expected economic data (the PMIs & auto sales) and 2) Continuation of the Trump/Republican optimism trade, which brought new money into the market to start the year. This was especially evident Tuesday as it was a full-on revival of the “Trump Trade.” With the first few days of 2017 behind us, and as we begin to focus on the rest of Q1, the set up for stocks is relatively clear: Any further upside in markets will be driven by the same factors that pushed stocks higher since the election: 1) Better economic growth and 2) Pro-growth political optimism. However, both of those positive forces face headwinds. So, while the list of what will drive stocks higher in Q1 is limited to two potentially powerful catalysts, the list of what could cause stagnation or a pullback is long. Starting with pro-growth policy optimism, the risks there are obvious: 1) Policy disappointment (i.e. no material progress on corporate tax cuts or deregulation in Q1), 2) Trade or corporate conflicts (Trump’s twitter feed is focusing more on specific corporations who are doing things he doesn’t like, like GM and TM, not on China). The market so far has ignored the latter as Trump being Trump, but that may change on Jan. 20 once he is sworn in. Turning to better economic growth, there remain risks there as well. First, economists are skeptical that the Republicans can supercharge growth given demographic problems in the US and multi-decade declines in worker productivity (due primarily to an aging working population and technological advances). Second, the negative effects of a stronger dollar and higher interest rates on an economy that has become accustomed to 0% interest for the last eight years is unknown and a potentially significant variable. Finally, much of the pro-growth policies that Republicans want to pass likely won’t even start to make a difference until well in 2018 (and that’s assuming they get things passed in a timely manner). If we get another growth head fake in 2017 like we’ve had several times since 2008, that will hit stocks. Bottom line market report, there is cause for cautious optimism in the market due to better actual growth; the prospect of a pro-growth government, and the added benefit of rising inflation and rotation of money out of bonds. However, at the same time, with current valuations the market is pricing in NO POLICY MISTAKES, and I think that is a problem—and it keeps me cautious on stocks, especially after Jan. 20. From an allocation standpoint, for broad stock exposure my preferred category for 2017 is value funds, and tomorrow I’ll be reviewing my favorite value ETFs in greater depth. Tactically, I think Europe (ETF Restricted to Subscribers) and European banks (ETF Restricted to Subscribers) offer value, as does the healthcare sector here in the US (ETF Restricted to Subscribers). Higher rates and more inflation are two strong trends we expect in 2017, so banks (ETF Restricted to Subscribers) and commodities/materials (ETF Restricted to Subscribers) also are attractive. The key event this week will be Trump’s press conference on Wednesday, as the market is hoping for more policy clarity from the president-elect. That speech will be bookended by President Obama’s farewell speech on Tuesday and Fed Chair Yellen’s speech on Thursday, but those two events likely won’t move markets too much (Yellen isn’t expected to comment extensively on policy). From a macro-economic standpoint things will be quiet, but things heat up from a micro-economic standpoint as bank earnings kick off on Friday (JPM, BAC, WFC, PNC all report this week). Did you enjoy this Market Report excerpt? Please subscribe and get the full macro-economic report designed for financial advisors and professionals. This entry was posted in Bonds, Market Commentary, Market Events & Reports, Stocks and tagged market report. Bookmark the permalink.